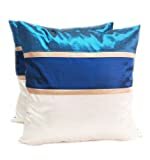 Save on Sheets & Pillowcases at Thai City Deals. Top brands include Lotus House, Hit Hot PILLOW, & HitHot. Hurry! Limited time offers. Offers valid only while supplies last.